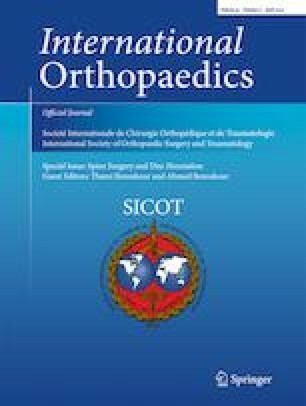 This study reports a new technique known as percutaneous endoscopic trans-articular discectomy (PETAD) for huge central/paracentral lumbar disc herniation (LDH). Sixteen patients with huge central/paracentral LDH who underwent PETAD in our department from July 2015 to July 2016 were retrospectively analyzed. Clinical outcomes were evaluated according to pre-operative and post-operative visual analog scale (VAS) and Oswestry disability index (ODI) scores and the MacNab criteria. Immediate post-operative MRI and CT were conducted to confirm complete removal of LDH along with follow-up flexion-extension X-ray to observe lumbar stability. The huge central/paracentral LDH was completely removed by PETAD in 16 patients, as confirmed by post-operative MRI and CT. Leg pain was eased after removal of the disc herniations. The satisfactory (excellent/good) results were 93.7%. The mean follow-up duration was 15.6 (range, 3–24) months. The mean pre-operative VAS and ODI scores were 5.72 ± 1.18 (range, 4–9) and 60.1 (range, 51–87), respectively, which decreased to 1.26 ± 0.81 (range, 0–3) and 18.1 (range, 10–31), respectively at the third month post-operatively and to 0.78 ± 0.62 (range, 0–1) and 7.2 (range, 0–15), respectively by the last follow-up visit. No recurrence and segmental instability was observed in any of the 16 patients during the follow-up period. PETAD could be a good alternative for treatment of huge central/paracentral LDH. Yu Wang and Yuqing Yan are co-first authors.